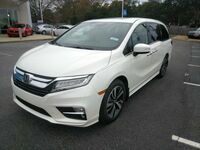 Are you in search of your next family minivan and are considering the 2019 Honda Odyssey? In this model comparison page, we take a closer look at the 2019 Odyssey compared to one of its competitors, the 2019 Sienna. While comparing these two vehicles, we found that they are both equipped with a 3.5-liter V6 engine and seat seven passengers. 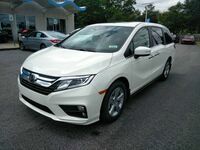 However, drivers who are looking for a vehicle with additional driving options and safety features would be better off with the 2019 Odyssey. To learn more about what the Odyssey has to offer and to view the comparison between the two 2019 vans, continue reading. 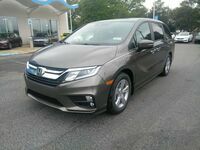 Or click on the button below to view our current Honda Odyssey inventory at Townsend Honda! 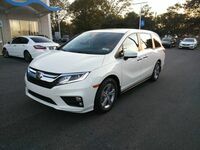 The 2019 Odyssey makes sure that drivers are confident when they are traveling with their most precious cargo. 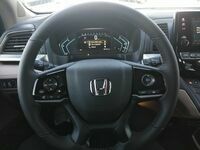 This Honda vehicle is home to an abundance of smart features such as the Multi-Angle Rearview Camera, the Blind Spot Information System and the Honda Satellite-Linked Navigation System™. Along with these features, the 2019 Odyssey is also home to the Honda Sensing® suite. This suite includes Collison Mitigation Braking System™, Road Departure Mitigation System™, Adaptive Cruise Control and Lane Keeping Assist System. Shoppers who decide on the 2019 Honda Odyssey will have five trim levels to choose from – LX, EX, EX-L, Touring and Elite. Each of these trim levels has a different starting price and a different set of standard features so drivers can choose the model that fits their family’s needs and budget. Parents can easily entertain and keep an eye on their children with the available cabin comforts such as the rear entertainment system and the Honda CabinWatch®. The available Honda CabinTalk™ allows drivers to easily communicate with the passengers in the back even if they have their headphones on. 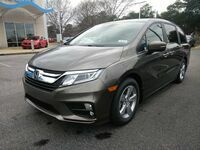 There is plenty more that the 2019 Honda Odyssey has to offer. Be sure to click on the button below to receive more information!